Commissioner John Spatz and Stanley Pehrue of the Chicago Department of Water Management were in hot water last week. Please see this video and click on Water Worries, http://www.wttw.com/main.taf?p=42,8,1&pl=New%20Video%202 John Spatz should watch more videos produced by Chicago Clout that explored this issue many months ago. Stop putting drugs down the toilet, mix them in cat litter, and throw in the garbage. 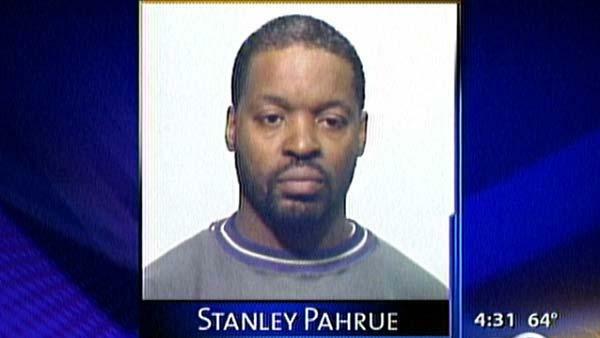 Please read this as reported by Channel 7 News Chicago… City employee arrested for making threat Thursday, April 17, 2008 | 4:33 PM A City of Chicago employee, Stanley Pahrue, has been placed on paid leave after he was arrested for making a threat. Pahrue works in the Chicago Water Department. He was arrested Wednesday for allegedly making a violent threat against his employer. This is his second arrest in the last 10 days. He was previously arrested on April 6 for soliciting a prostitute. I like to know why weren’t the rest of us not notified about this loose screw? what about us on the South side, or even the North side? Why is it all about the Central district all the time? Hell this guy might come down here to hurt us? or even up North? there has to be something done to inform the rest of us in case something goes wrong–Emergency– I think this guy should be locked up until his court date. Holy crap !!! (Response) After a Ho in Chicago should I wash my hands before I swIpe out? Pack Heat this year I warned you before. If you work for the City of Chicago carry Heat like Mayor Daley. Is that John “Fatz” Spatz. If you are working in the Ghetto and you need some fun, be careful. If the Ho will not follow you down the street and into your car, she is a cop. If she is fair looking and in the hood, she is a Ho. If she has teeth, she is a cop. If she looks like Daley she is a Ho. Be careful out there guys, the Chicago Cops want to bust your nasty as*es. He also said, “If I lose my job, I will shoot them all up”. Brother from the Hood, what do you expect? Even city workers like **** ***** of streets & san has visited the wares given by Bridgeport brand hookers. As a mater of fact he did this twice during the day on separate occasions while working for the city of chicago. Guess what he was arrested (with) both times and nothing seems to happen to him.